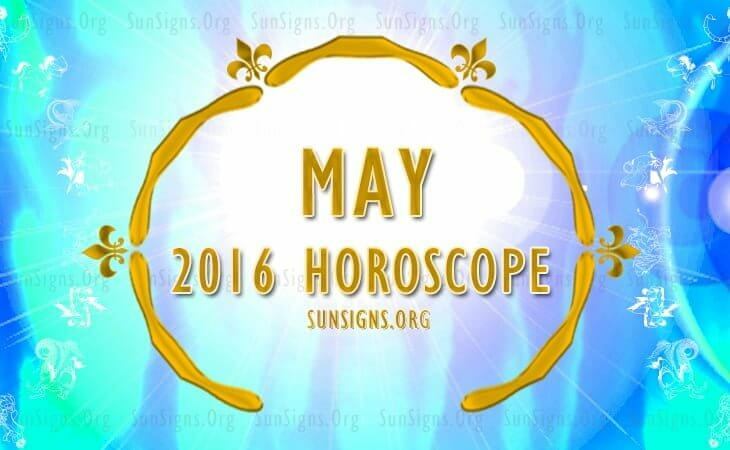 Here are the monthly predictions for May 2016 presented to you by SunSigns.Org. Read in detail about how this month will turn out for each zodiac sign. 2016 horoscope forecasts predict about the status of your health, wealth, career and job prospects and love life for the month of 2016 May. Also find out how the 2016 Mercury Retrograde will affect you in this month of May. So what are you waiting for? Get the May 2016 astrology predictions for Aries, Taurus, Gemini, Cancer, Leo, Virgo, Libra, Scorpio, Sagittarius, Capricorn, Aquarius and Pisces zodiac signs right away! The Aries May 2016 monthly forecasts suggest that many career opportunities will arise during the month. But the Rams will need to budget their finances. Love for the Arians will be unpredictable. Health can be improved with natural remedies. 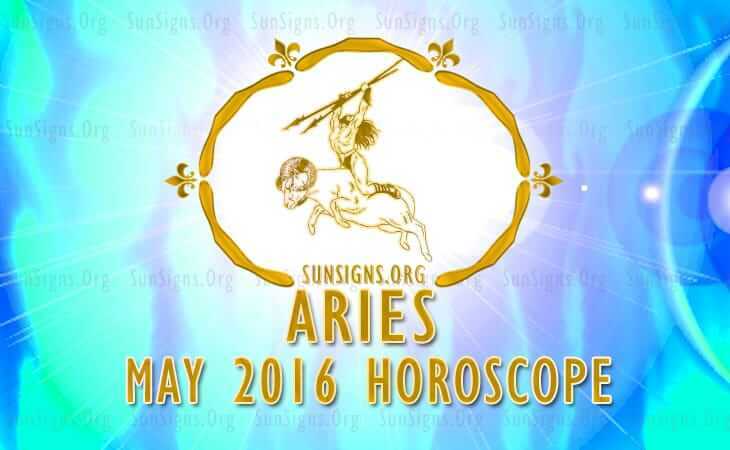 Click Here To Read Full 2016 Aries May Horoscope. 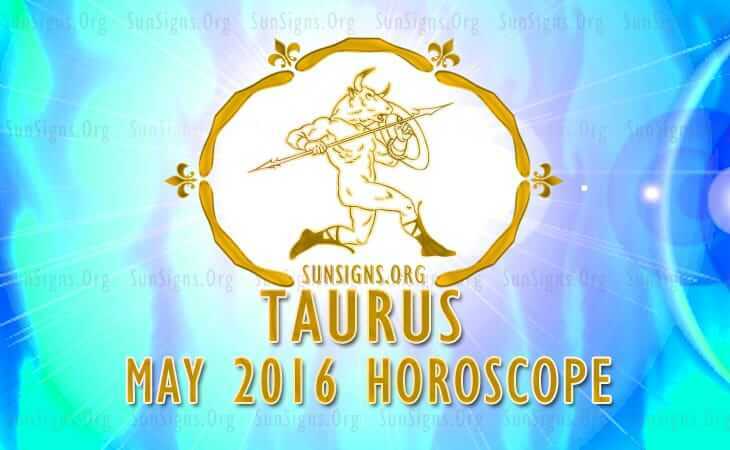 The May 2016 Taurus predictions foretell that you will be involved in large business and job projects. Domestic and family issues will occupy your mind this month. The Bulls might have a difficult time with their relationships. Emotional health will be important. Click Here To Read Full 2016 Taurus May Horoscope. In May 2016, the Gemini will need to improve relations with family as well as take care of their finances. Weight loss remedies will be tried out. The Twins will get their partners to commit. Your financial investment strategies will undergo important transformations. 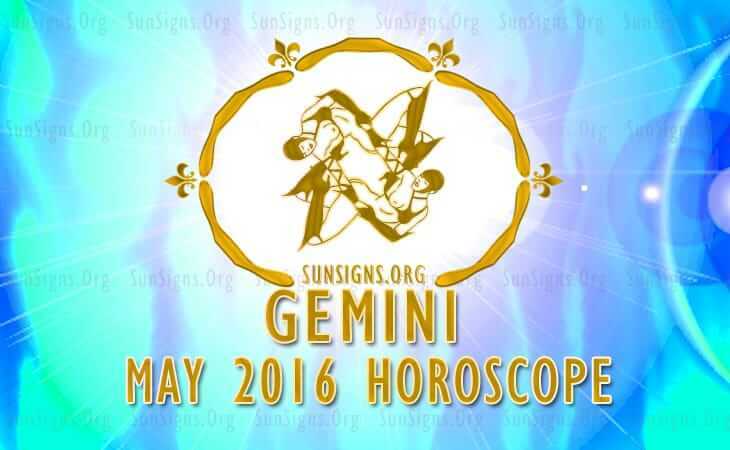 Click Here To Read Full 2016 Gemini May Horoscope. Independence and self-will will rule over social charm and social grace for the Crabs in May 2016. Cancerians planning for a child will be blessed. May 2016 predicts of a period of professional commitments that make domestic affairs a little complicated. 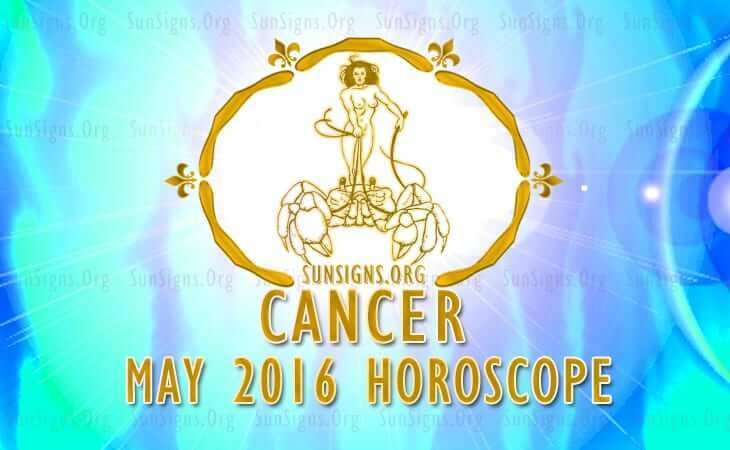 Click Here To Read Full 2016 Cancer May Horoscope. 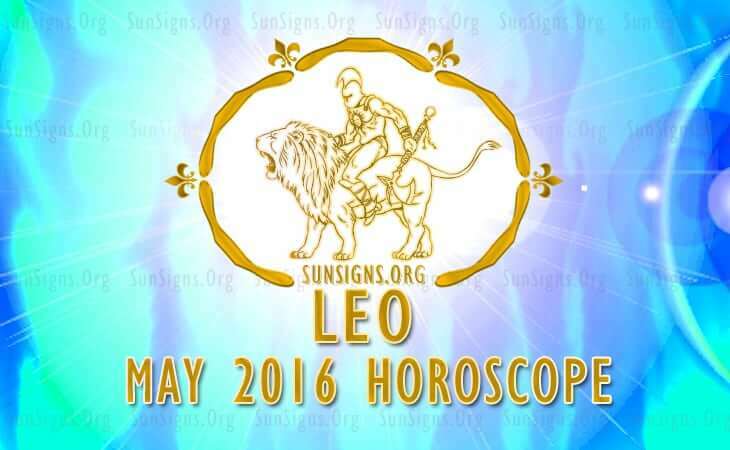 Leo Horoscope for May 2016 predicts that profession and finance will take predominance over love and family. Projects will be financially fruitful. Single Lions will have many opportunities to form relationships through online dating. Boost your energy with fresh fruits like lychee and papaya. Click Here To Read Full 2016 Leo May Horoscope. 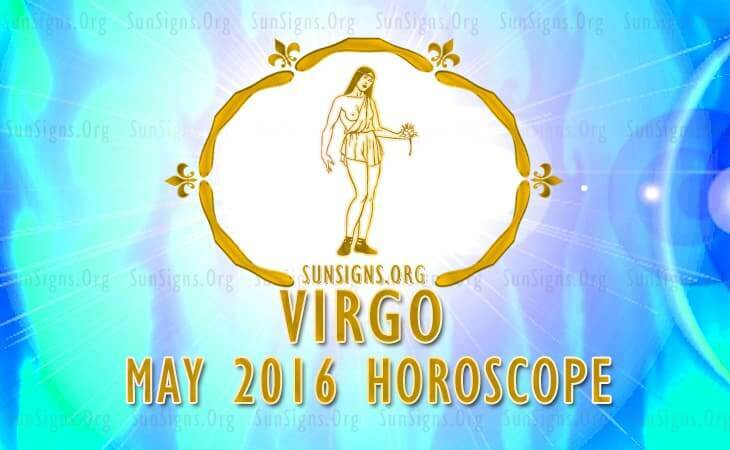 The Virgo 2016 May forecasts foretell that your career is at its zenith for the year. Review your spending habits and cut down unnecessary expenditure. Love affairs will be limited to flings and flirting. Drinking a lot of water will keep illnesses at bay. Click Here To Read Full 2016 Virgo May Horoscope. Career will be vital during May 2016 for the Librans. You can use your social charm to further your business. Marital relations will be harmonious. This is a good month to quit smoking and work hard to make your future secure. 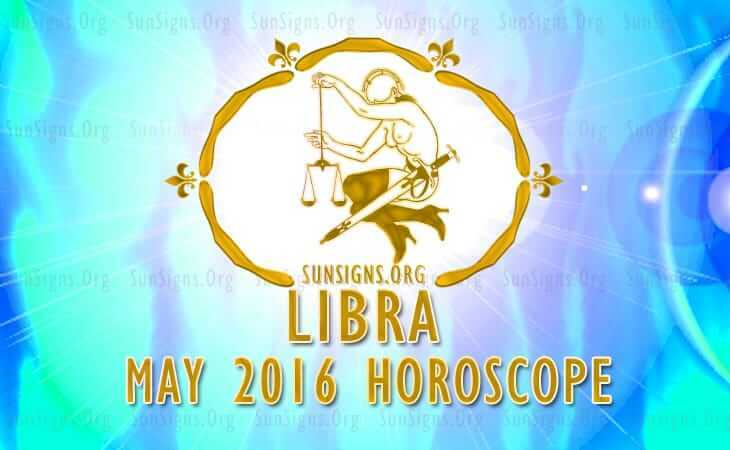 Click Here To Read Full 2016 Libra May Horoscope. In May 2016, personal ambitions will be on the back burner for the Scorpio zodiac sign. You can use your creativity to convey your ideas. Married couples may have problems balancing their career and relationships. Practicing mindfulness will help reduce stress. 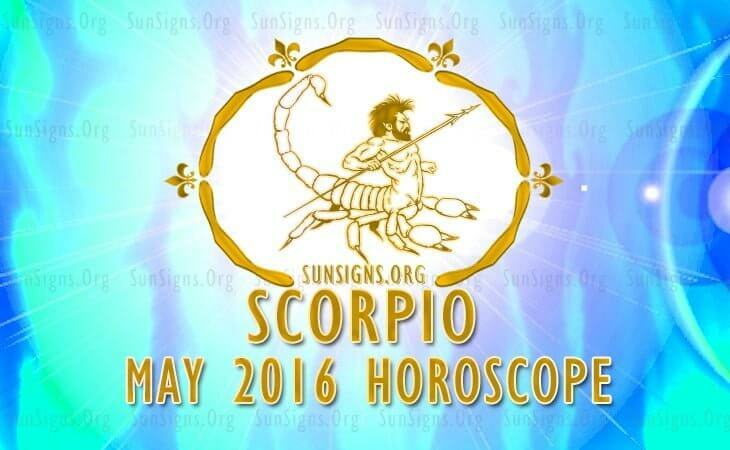 Click Here To Read Full 2016 May Scorpio May Horoscope. In May 2016, spirituality will be of great help in improving the Sagittarian vitality. Financial situation is worrisome for the Archers. Romantic opportunities are to be found everywhere. Health will be delicate with depression disorders becoming more prominent. 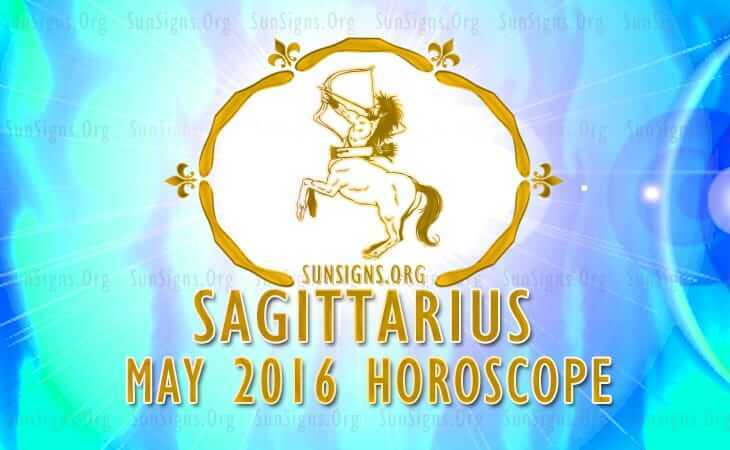 Click Here To Read Full 2016 Sagittarius May Horoscope. May 2016 is an excellent period for Capricorn zodiac job seekers. Wealth will be shared with the needy. You should take failures in relationships in your stride to move ahead. Resolution of domestic problems might keep the sea goats busy this month. 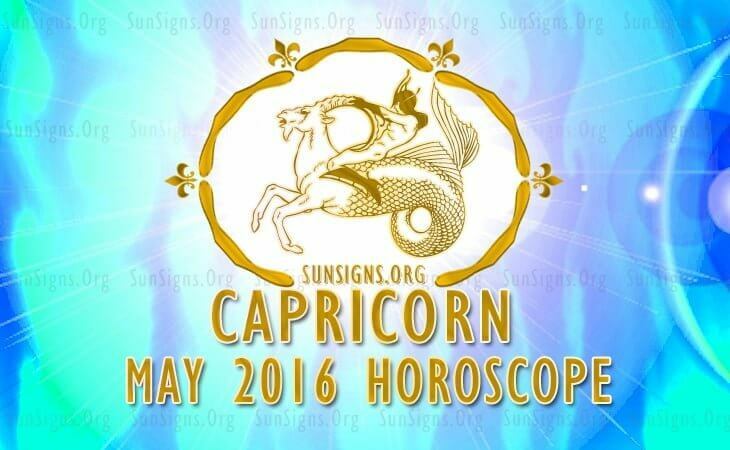 Click Here To Read Full 2016 Capricorn May Horoscope. Aquarius, in May 2016, self-confidence and hard work will be necessary to attain your targets in life. Proper financial planning is needed in order to make your future secure. Fun and frolic with spouse is predicted. Proper sleep and a healthy diet is a must in 2016 May for the Water Bearers. 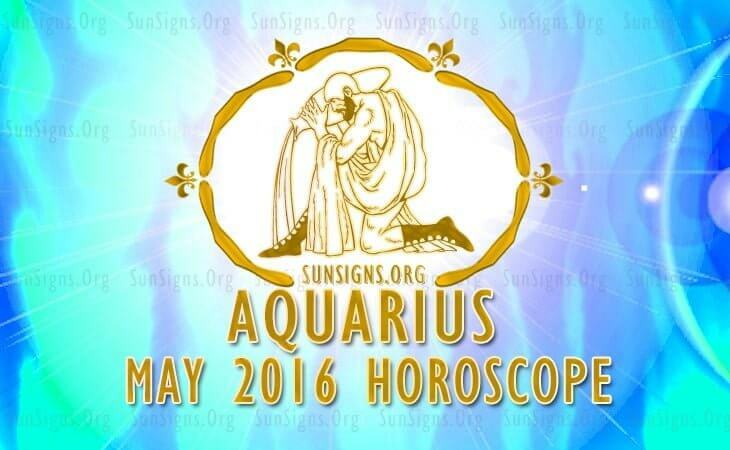 Click Here To Read Full 2016 Aquarius May Horoscope. Pisces May 2016 Horoscope forecasts that home and emotional aspects should be your priority this month. Finances and money flow will be wonderful for the Fishes. Love is more realistic this month in 2016 May. Improve relationships with friends and family. 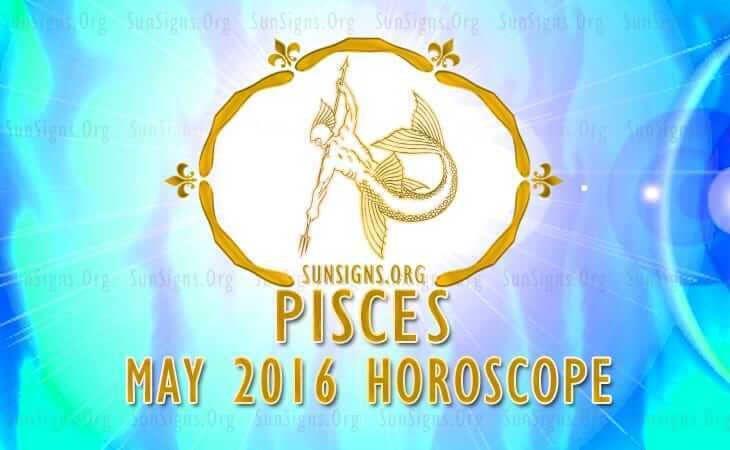 Click Here To Read Full 2016 Pisces May Horoscope.